Tallis Vocalis will present two to three regular concerts a year. 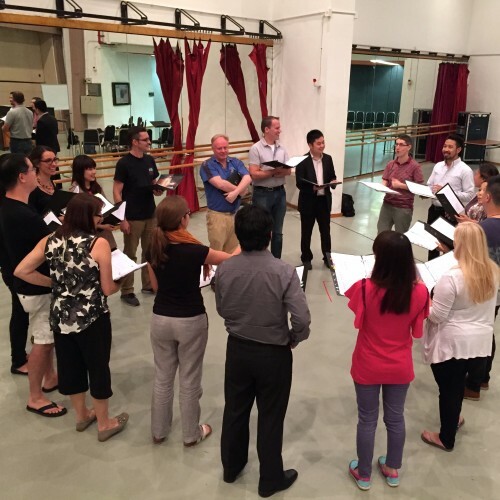 Rehearsals usually take place on Mondays and are generally held at the Hong Kong Cultural Centre. The number of rehearsals for each concert will range between six and eight, depending on the programme being prepared. In addition to our regular concerts we will perform a number of private engagements which are important to the profile and financial well-being of the ensemble. All singers of Tallis Vocalis are auditioned. We are keen to listen to all good voices. In particular we are looking for experienced singers who have good sight-reading ability and vocal flexibility to blend in a small ensemble. Singers will be drawn from a pool to suit particular requirements of each concert. This pool will be kept to a limited size to give members as many opportunities to perform as possible. Singers of Tallis Vocalis are required to pay a small subscription for each concert in which they participate to cover music purchase and contribute towards rehearsal and concert costs. To request an audition, please contact us at info@tallisvocalis.com.